There are so many ways to celebrate the holidays at Walt Disney World that you might be a bit confused. Keep reading! We've covered the most popular attractions, eats, entertainment, and experiences you can partake in during Christmas in Disney World. Tips for visiting the Walt Disney World theme parks for New Year&apos;s Eve. My family and I have attended Mickey&apos;s Very Merry Christmas Party at Walt Disney World for more than a decade, witnessing the changes through the years. Here, I offer our best tips for making the most of your party night. 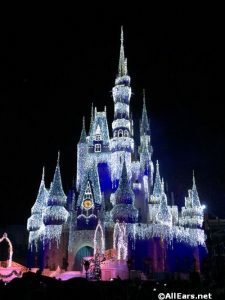 Mickey&apos;s Very Merry Christmas Party has returned to the Magic Kingdom for select nights in November and December, bringing Christmas cheer to visitors and locals alike. Here&apos;s a look at what&apos;s new this year at the Christmas party.